The second most commonly used supplement in the U.S. is a multivitamin. A multivitamin often contains 3 or more vitamins, minerals and other nutritional elements with contents usually at or above the Daily Value (DV). A study released in the American Journal of Medicine found that multivitamins are a great natural inflammation-fighting tool, which is essential for health and longevity as inflammation is emerging as a major cause of heart disease, diabetes, cancer, Alzheimer’s disease, and aging in general. Along with anti-inflammation support, multivitamins provide additional nutrients to one’s diet. Purported benefits of these added nutrients include improvement in energy levels, prevention of colds and infections, reduction of fatigue and a lowered risk for chronic diseases. The following multivitamin products listed below passed independent testing and are tested (safe) and true (effective). Multivitamins are generally regarded as safe, but it is advised to consult with physician prior to taking them. 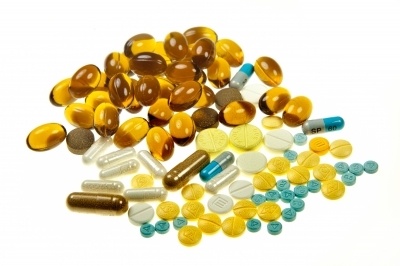 Some multivitamins have content that may interact with medications. For example, calcium may decrease effectiveness of certain antibiotics, osteoporosis drugs and thyroid medications. Vitamin D might reduce effectiveness of some medications such as Lipitor, or other heart medications, birth control pills, and HIV/AIDS drugs. While only quality products that passed independent testing are listed on this page and throughout our spotlight: supplement series contained in this website, the suggested dosages for each vitamin and mineral vary for each individual. In addition, even though the FDA requires dietary supplement products to list the daily value percentages for certain vitamins and minerals, daily values can be misleading because of various factors such as differences in the user’s age, gender, health condition, etc. Therefore, it’s best to understand the RDAs (Recommended Dietary Allowances), AI (Adequate Intake), and the ULs (Tolerable Upper Intakes Levels). The RDA (Recommended Dietary Allowance) is the average daily dietary intake level that is regarded to be sufficient to meet the nutrient requirement of nearly all healthy individuals in a particular life stage and gender. An AI (Adequate Intake) is simply an approximate value given when no RDA has been established. The UL (Tolerable Upper Intakes Levels) is the highest level of daily intake that is likely to pose no risk of adverse health effects for most people. Individuals are advised not to exceed the UL. Due to the multiple variations of multivitamin products on the market today, we’ve provided the RDAs, when established, the AIs (provided when no RDA has been established), and the ULs of the most commonly seen vitamins and minerals in multivitamin products. Vitamin A is typically known as retinol (including retinyl palmitate and retinyl acetate), as well as beta-carotene. It is suggested that beta-carotene, derived from fruits and vegetables, may be a safer source than retinol, found in animal sources, because beta-carotene is converted in the body into vitamin A based on the body’s specific needs. For vitamin D’s RDAs and ULs, visit our Spotlight: Supplements -Vitamin D.
Since deficiency is rare, no RDAs are set and ULs are not established, only AIs. For calcium’s RDAs and UL, visit Spotlight: Supplements – Calcium. No RDAs or ULs are set, only AIs. Excess copper intake is associated with accelerated mental decline and therefore provides good reason not to supplement extra copper into one’s diet. Since adult males are rarely iron deficient and excess iron might increase risk of heart disease, iron is not usually contained in many multivitamins, specifically those formulated for men. Mild zinc deficiency is thought to be fairly common and zinc supplements may enhance immunity in people who are extremely deficient in the mineral. Excessive amounts can decrease immune function, be detrimental to heart function and limit copper absorption.